Who loves fresh salmon? Who loves firing up the BBQ? Who loves healthy, tasty and simple meals? Me, me and me. You too? Well, I got you covered! Today, I am virtually receiving Candice from Everybody loves pretty. I am so happy to have my first guest post from a fellow Canadian food blogger! If you didn’t know about the blog, please head over there and discover a lot of healthy recipes and sweets too! Do you remember I did send a little of Provence to Vancouver with my ratatouille recipe and now, we are getting some fresh salmon from Vancouver in Toronto! 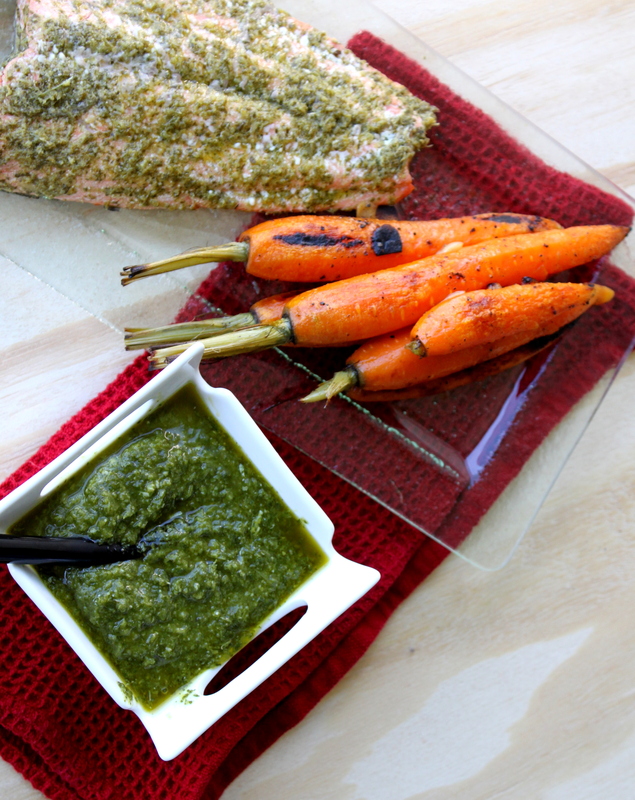 She also did a surprising pesto with carrots tops! How original is that? “Hello there! My name is Candice, from the Vancouver food blog, Everybody Loves Pretty. Today is a very exciting day because I get to share a fabulous salmon recipe on my favorite Eastern-Canadian food blog, Bon Appét’Eat! It has been very hot over in Vancouver, so instead of using my oven, I have been BBQing up a storm! 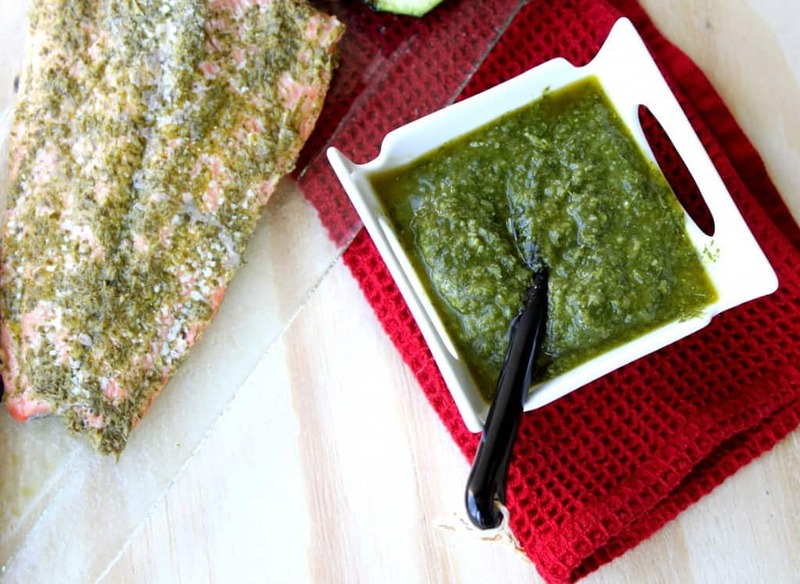 This recipe is so very easy and extremely delicious! 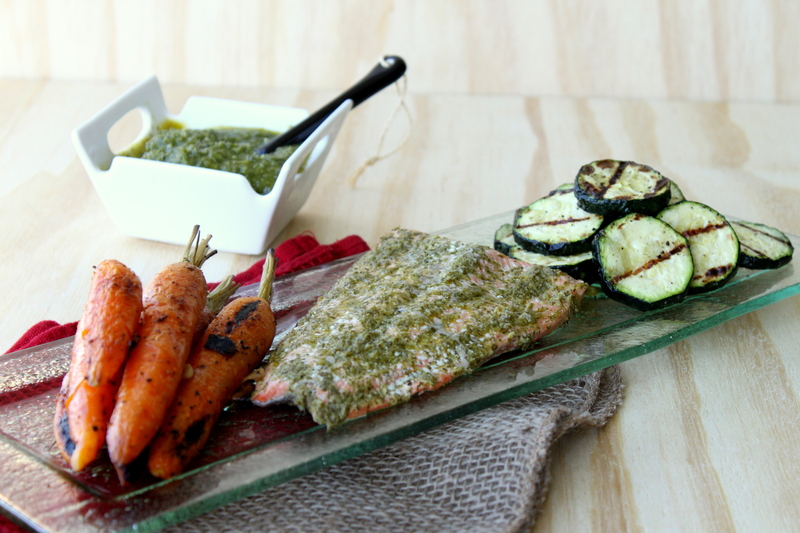 It’s the perfect summer dinner that is very light and healthy to ensure you keep your bathing suit body! I just started working full-time and have been trying to think up recipes that are quick and easy to make after getting home from a long day. This one definitely made the cut! I recently went fishing when I went back home last weekend and actually caught this salmon. It is definitely a treat to catch your dinner and eat it too! 😉 It certainly made it taste all that much better too! - Preheat grill to medium-high heat. 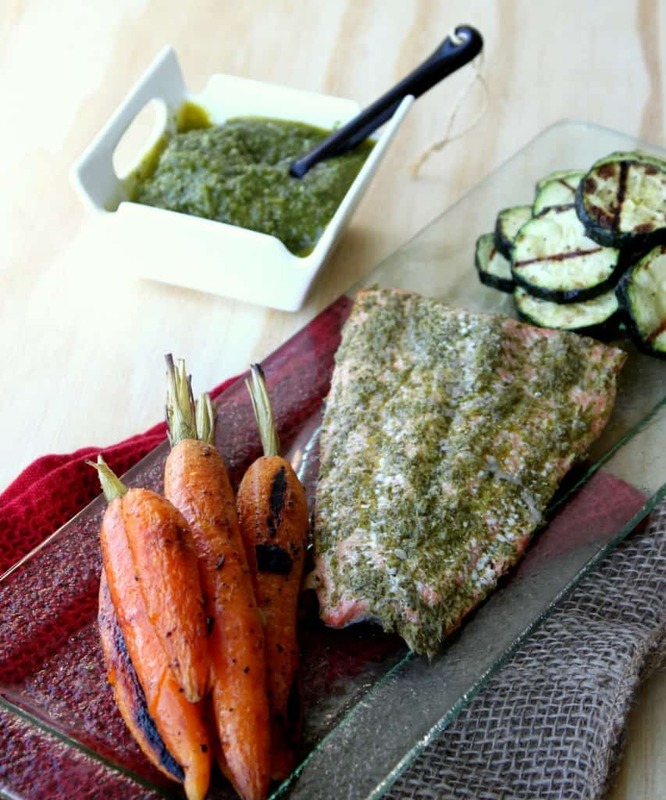 - Drizzle 1/3 of the olive oil over the salmon fillets; cover both salmon fillets with the carrot top pesto. - Place the salmon fillets between two sheets of tin foil and crimp the edges so they are closed. - Place on the bbq and cook for about 15 minutes, or until the salmon flakes easily. - Meanwhile, drizzle carrots and zucchini with the remaining olive oil, salt and pepper. - Place on the BBQ for about 10 minutes, or until the vegetables are soft. Carrot top pesto can be made ahead of time. Thank you so much Candice for preparing such a nice recipe to share on Bon Appét’Eat! Triple sec rainbow cocktail in 5 minutes!